This is the third part in a series in which I give the blueprint for my Mac Media Server. These pages will be updated with new software and settings changes so they will always be up to date with my current configuration. This is the third part of the series which describes the process of installing and setting up the Fit Headless HDMI display emulator. I quickly realized after setting up my Mac Mini that there were some pretty critical problems that I knew I’d have to overcome if I was going to interact with it using Screen Sharing. For one, the number of screen resolutions that were offered to me in OS X’s system preferences were less than optimal. And, there was also some performance issues that I couldn’t initially find the source of. After doing some research I found that OS X actually shuts off the graphics card when there’s no display connected to the computer. In the past I had heard of people building dongles that would emulate a display over VGA — at the time I didn’t understand why anyone would need one. But, using one would trick OS X into turning on the graphics card which would improve performance and give me far better options for display resolutions — without it all of my options were in a 5:4 aspect ratio. Building one seemed easy enough — a DVI to VGA adapter and some cheap resistors was all I’d need to put one together. 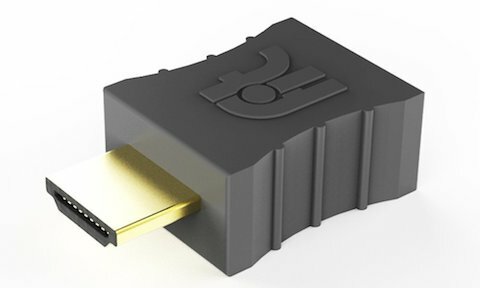 But, while I was searching around trying to find the easiest way to build one I came across an article on Macminicolo Blog where they point to a small HDMI dongle called the Fit Headless. It’s an inexpensive display emulator that’s designed to be used with headless computers — exactly what I needed. It really is that easy. The whole process only took about 10 minutes. I’ve been using the Fit Headless for the past four months and I couldn’t be happier with it. The Mac Mini in my closet is much more responsive when I’m interacting with it over Screen Sharing or VNC and the display resolution options are more to my liking — 1080p, 1080i, 720p, 1600×900, and 1344×756. I’ve been using the 720p resolution as it is as close to ideal as I could ask for when I’m using my MacBook Air’s smallish 11-inch display to view the Mac Mini’s desktop. The Fit Headless is currently available for $15 on Amazon. I’d consider it to be an essential piece of hardware for any Mac home server. It’s inexpensive, easy to setup, and does exactly what it needs to.